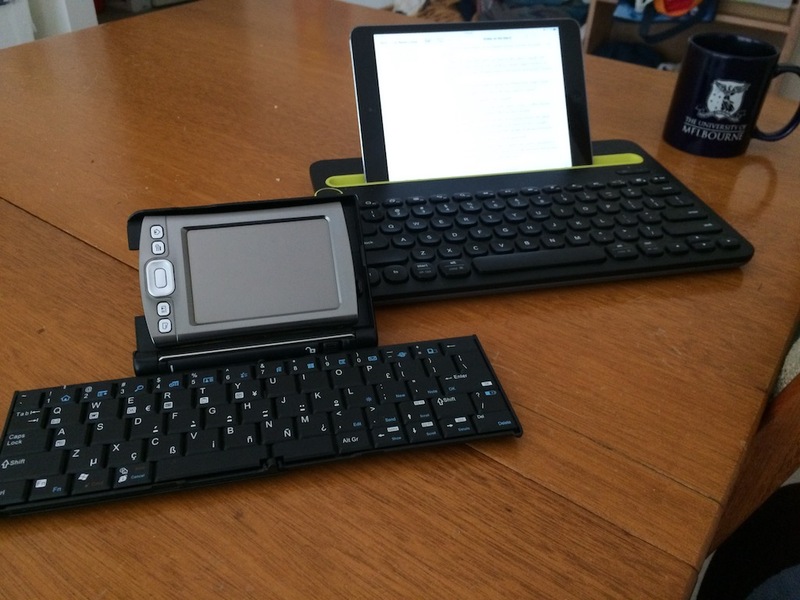 I wax technological about portable writing setups past and present. It's November again and that means another Nanowrimo. For the second year in a row, I've decided to push on with my complete re-write of Weaver of Dreams. With three kids now, my personal time seems more compressed than ever and so I need my writing tools on hand so I can be ready as and when I have the opportunity to write. Last September, I moved back to using a 13inch laptop for the first time in nearly six years. I'Ve talked about why in other posts but in nutshell, I wanted something portable enough to work where I wanted but with a screen that was large enough that I didn't feel constrained when I coded. The 13 Inch MacBook Air fulfils that need very well, but it's not a device that I regularly carry outside the house. This isn't a new problem to me. Ten years ago, laptops were no-where near as svelte as they are today. We're talking big plastic bodies and heavy, low-capacity batteries. Netbooks didn't exist. Tablets and UMPCs were super expensive, niche products running Windows XP. Smartphones were unheard of outside of Blackberry-touting executives. What we had though was the PDA - or personal digital assistant, with the two most successful examples being the Palm Pilot and various PocketPCs. These devices were the precursor to the smart in smartphone, effectively hand-held computers with apps for email, calendars, contacts, note taking and even word processing. 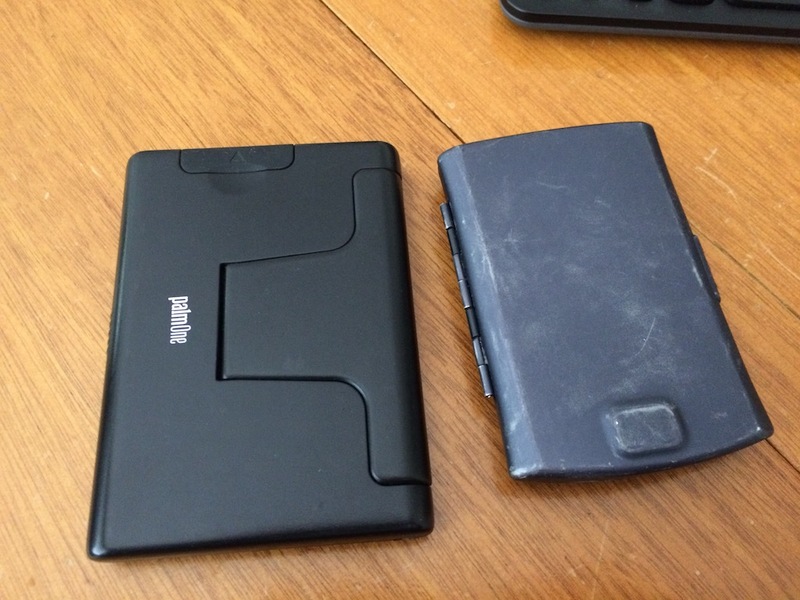 For a while, I was an enthusiastic user of the Palm, namely the Zire 71 and then the Tungsten T5. Where my laptop was measured in kilos and its battery life barely two hours, the Palm fit in my pocket and yielded a battery life measured in days. With it's little stylus it replaced my paper notebooks and when coupled with a folding keyboard it replaced my laptop out side the house. That was the theory and expectation; reality didn't quite live up to it though. Palm's software was a little janky. Syncing was hit and miss and most of the word processing apps that promised compatibility with MS Word were pretty woeful. The IR folding keyboards often dropped the connection, which is infuriating when you are trying to write in the zone. Still it was great for its day and it (almost) met a need. The Palm's greatest legacy, for me at least is that is it showed that I needed very little to be productive while on the go. To write, all I need is a screen, a keyboard, an operating system capable of storing text and decent battery life. Fast-forward ten years or so and I find myself with the same need. Sure, the MacBook Air is much lighter than the old clunkers I used to use and it's battery life it astonishingly good but when I'm out of the house and on the move, I find the combination of a hand-help device works really well. A tablet is the one device that I can comfortable use standing on a crowded train on the way to work and on a desk using a more traditional mode of text entry.